This architectural pilgrim centre derive its name from the Virgin goddess Kanyakumari, to whom the temple is dedicated. Goddess Parashakti (Devi Kanya) did punishment to protect shiva’s hand in a marriage. She sweared to remain a virgin as she couldn’t attain her objective. Nanjil Nadu and Idai Nadu were the local parts in the district of Kanyakumari. The villages such as Azhagiapaandipuram, Bhoothapandy, Cholapuram and Kulasekaram clearly disclose that these regions were ruled by several kings. Pandiyas were ruled the nanjil nadu till the early 10th century and then cheras ruling were took over. The Taluks kalkulam and vilavancode were ruled by the Chera Dynasty. The rise of Hoysalas and western chalukyas eventually declined the power of Chola dynasty. On the other side, venad dynasty took advantage of the situation and established their ruling in substantial areas in Nanjil Nadu. For nearly four centuries, venad were ruled by kings who constantly making penetrations in to the pandian territories. Vijayanagar kings advanced against Venad as a result of this. 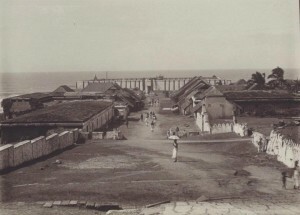 Kanyakumari fell into the hands of Madurai Viswanatha Nayak in 1609.